The 32 nations of the Libya contact group, meeting in Istanbul, have decided to recognize the Transitional National Council in Benghazi as the legitimate government of Libya. The US was among those agreeing to do so, for the first time. Secretary of State Hilary Clinton made it clear that it took the US so long to take this step because Washington had been vetting the TNC leadership for signs it was actually committed to democratic elections and was free of radical Muslim tendencies. The TNC has already hosted conferences with representatives from all of Libya’s provinces, and has made it clear that it will move to parliamentary elections once dictator Muammar Qaddafi is gone. It is important that the Contact Group meeting was hosted by Turkey, a major Muslim nation, and chaired by the United Arab Emirates, so this was not just a Western initiative. In fact the UAE foreign minister was most vocal on the need for more international pressure on Qaddafi. The international recognition of the TNC is important in part for resource reasons. Most of the Contact Group countries, including the US, have frozen Qaddafi’s bank accounts, containing tens billions of dollars that he wasn’t spending on the welfare of his people. This diplomatic step clears the way for the US and others to cede control of the frozen funds to the TNC, an infusion of resources that could well make the difference in the conflict. Doug Saunders reports from Benghazi on the heady sense of liberation in that city, with censorship gone and the five Qaddafi propaganda rags succeeded by 126 newspapers of all political tendencies, some of them critical of the TNC. One, Youth Call is run by teenagers and edited by a fourteen-year-old young woman, Sadus Jahmi. The one thing I’d disagree with Saunders about is that I don’t think Qaddafi still has 2/3s of the country. I’d put it, demographically, at less than half. I also don’t agree with the use of the term, common in the journalism on Libya nowadays, of “stalemate.” The Free Libya advances have been slow but sure over the past three months. It isn’t a stalemate when Qaddafi was stopped in his attempt to conquer Misrata or the Western Mountains, and even less so when he was pushed substantially back on both fronts. 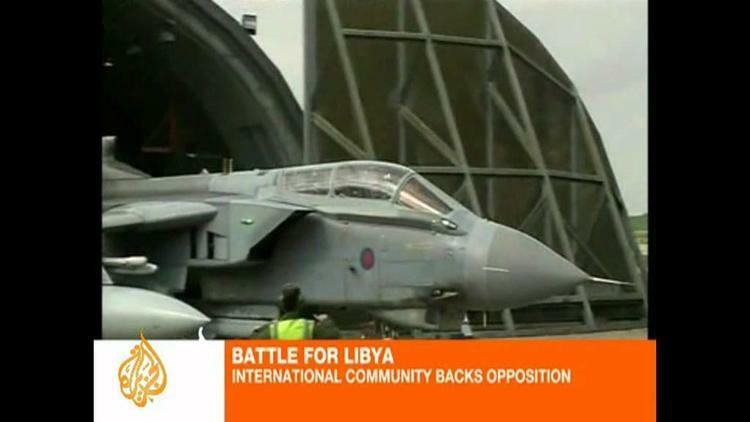 One reason for the slowness of the war is that the United Nations allies helping the Free Libya forces do not want to destroy Qaddafi’s military, taking a lesson from what happened in Iraq. There, when the US liquidated the Iraqi military, it threw the country into chaos that persists today. Rather, they will try to advance against the Qaddafi brigades gradually enough to leave them intact, encouraging them to defect (which of course large numbers already have), in hopes of integrating them into a new national army. I was told this by Free Libya speakers at a meeting I attended a couple of weeks ago at the Cultural Center in Tunis, sponsored by the Tunisian Progressive Democratic Party. James Dorsey, writing at al-Arabiya, makes the same point today. It is a wise way of proceeding and has a good chance of success, since many defecting members of the Qaddafi brigades have expressed remorse for how they were deceived by the regime (they are told that the Free Libya forces are al-Qaeda foreigners). A slow advance, gradually convincing Libyans in Tripoli to bundle Qaddafi onto a plane to somewhere else, could also forestall his plan, reported by the Russian special envoy for Africa, to blow up Tripoli if it seems like to fall. A Qaddafi spokesman later denied the report. Of course another reason for the slowness of the war is that Free Libya forces are mostly untrained teenagers, bravery more often their virtue than savvy tactics and strategy on the battlefield. The indiscipline in these green ranks has sometimes led to looting and other abuses, according to Human Rights Watch. This problem is in the field, from all accounts, and not owing to policy or TNC directives, unlike the war crimes committed by Qaddafi brigades, which have often been ordered from the top. HRW admits that Free Libya abuses pale in comparison with the “atrocities” committed by Qaddafi brigades. In other Libya developments, the front at Brega is heating up in the east, as Free Libya forces gradually close in on the major oil refining center that has been fiercely defended by Qaddafi brigades stationed there. The Benghazi forces have been clearing mines around the largely deserted town and preparing to move in. A small reconnaissance force breached Brega on Friday before pulling back. Qaddafi brigades are defending the town with GRAD rockets. The course of this conflict, maddeningly slow, is also inexorable. Ultimately the Burayqa / Brega basin is likely to be taken, and, deprived of its resources, the murderous Qaddafi regime will not be long for this world.